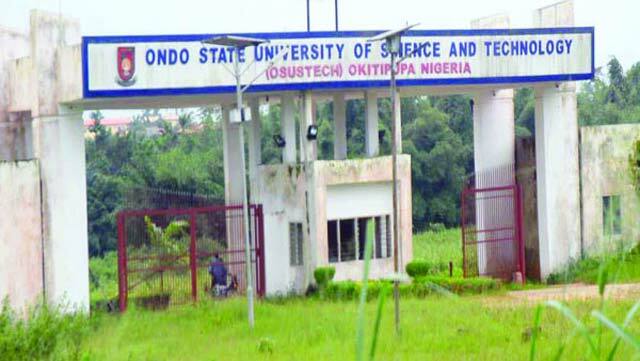 The Ondo State University of Science and Technology (OSUSTECH) resumption date for freshers and returning Students for the 2018/2019 session has been announced. The management of Ondo State University of Science and Technology is using this medium to inform all newly-admitted and stale students of the institution that academic activities for 2018/2019 session has been slated to commence. In view of the above, all newly admitted students are hereby directed to proceed to make online payment of their tuition fees and by downloading and completing the Student Screening Forms from the college’s website and attach all required documents as specified on the portal. For returning Students, they must pay all the necessary tuition fees and commence their course registration on-line for new session on https://osustech.edu.ng. Freshers and returning students are advised to comply with these directives.